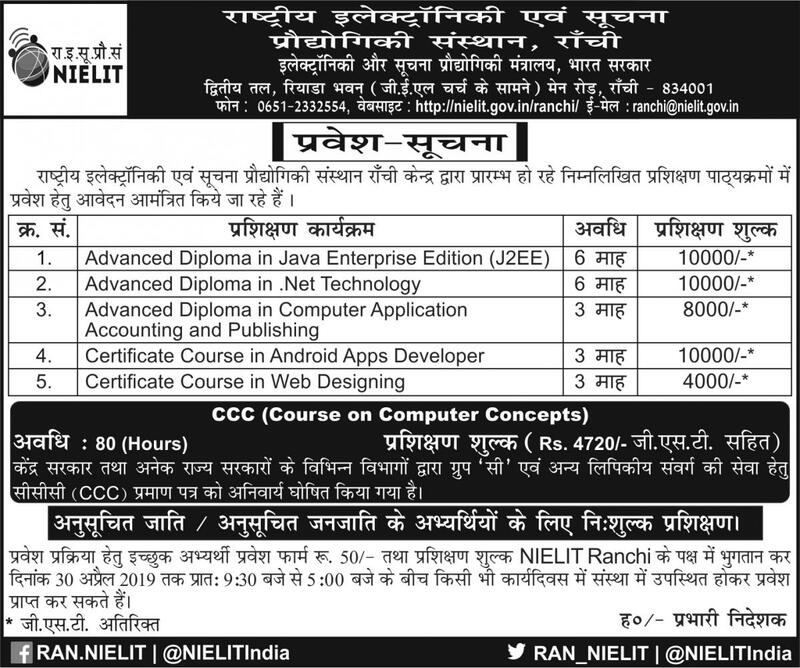 April 2019 - Admission notice for various courses at NIELIT-Ranchi, Last date: 30-April-2019. Admission to NIELIT 'O' Level/CCC Course, Last date: 28-December-2018. Admission to NIELIT 'O' Level/CCC Course, Last date: 29-June-2018. RESULT OF INTERVIEW FOR THE POST OF FRONT OFFICE COUNSELLOR AND OFFICE ASSISTANT. 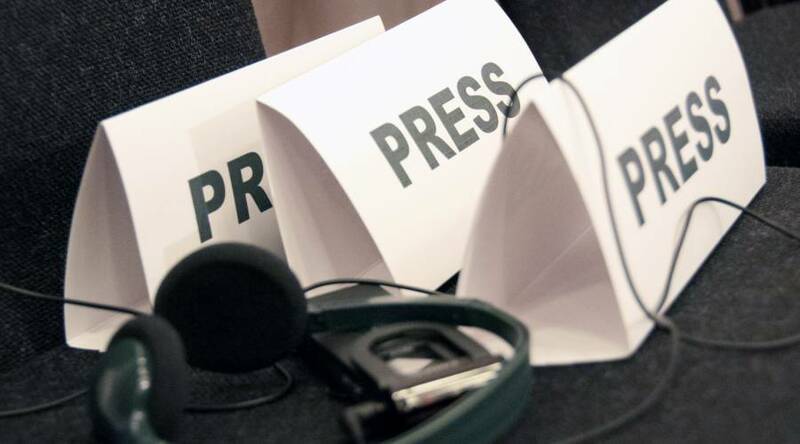 Schedule of Interview for the post of Front Office Counsellor and Office Assistant. NIELIT, Ranchi centre has started functioning subsequently to the inauguration by Prime Minister in August 2014. A temporary office space has been provided by Govt. of Jharkhand (GoJ.) in RIADA Bhawan Annex, Main Road Ranchi. Important Notification!! !Online Services of NIELIT including http://student.nielit.gov.in, http://onlineaccr.nielit.gov.in, http://dlcaccr.nielit.gov.in, http://bcas.nielit.gov.in etc. may get disrupted due to maintenance activity scheduled between 18-August 2018 to 20-August-2018. All the stakeholders are therefore requested for not performing any crucial activity including payments during this period. Inconvenience caused due to this is highly regretted.